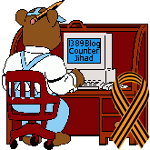 Exposé on Muslim Students’ Association (MSA) — 1389 Blog - Counterjihad! Below is another excellent report by Erick Stakelbeck at CBN News. This one concerns the Muslim Students Association (MSA), the first of the Muslim Brotherhood front groups established in the United States. Despite the listing of the MSA as an affiliate in good standing of the Holy Land Foundation — the MB “charity” convicted in 2008 for its support of Islamic terrorism — the MSA is widely regarded as a normal mainstream religious organization, as if it were the Muslim equivalent of the Methodist Youth Fellowship. In his report Mr. Stakelbeck outlines the history of the MSA, and takes a brief look at some of the former leaders of the MSA who went on to illustrious careers in Al Qaeda. See the accompanying article about the MSA at CBN News.